Solution: There are various way you can do this, Here is some options. Other option is use sling boot delegation http://dev.day.com/content/kb/home/cq5/Development/SlingBootdelegation.html to add third party jar. If you are using CRXDE then your bundle menifest will look like this. In this example, I assume that /libs folder is created at same level of your menifest file. Feel free to let me know if missing something. Use Case: You have a Hotfix that has many dependencies and you want to install them in order Or you want all packages to install in particular order. Installing through package manager can be time consuming process. 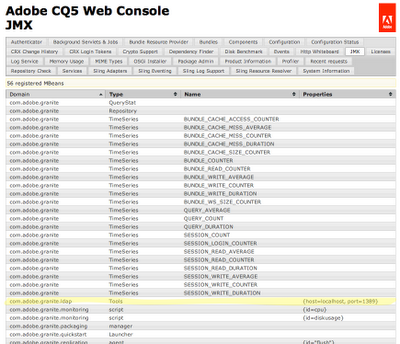 and /crx-quickstart/install CQ5.5 and above use folder for any new package and install them in alphabetical order. So for example you have a package which has many dependencies, You can rename them in alphabetical order and put them in /crx-quickstart/repository/install folder. Next CQ restart will make sure that they are installed in that order. For example, If you have Zip file name p001-hotfix-<Some-number>.zip and p002-hotfix-<some-number> under install folder, then p001 will get installed first and then p002 upon restart. After initial installation CQ creates properties file (some thing like <your-package-name>.properties) associated with each package, It is used by installer as a indicator not to install that package again on next restart. 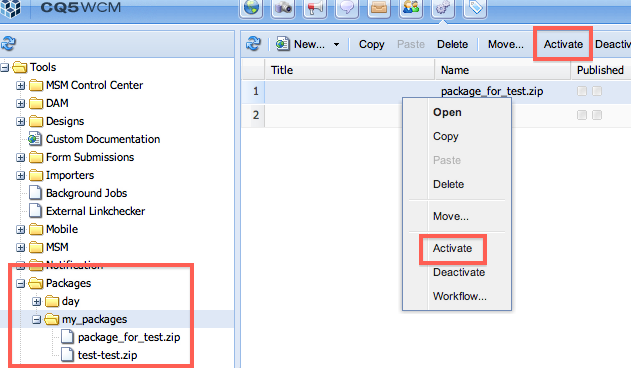 You can also mention start order of package by creating start level folder. For example to assign startlevel 21 to bundle xyz you place the file into crx-quickstart/install/21. The default start level is assigned if you place it into the folder called 0 or directly into the install folder. This is also true for any bundle you put in /install folder in repository (Which is picked up by jcr installer as soon you put them there). Note that number might have preference over alphabets, so rename your files accordingly. You have to restart CQ after putting files in install folder. This approach does not work for CRX Hotfix. This is very useful if you have many publish instance and you want to install package to all of them. This is also useful when you have to move package between environments. I have seen many clients do not know about these features so thought to mention it. Please feel free to comment if you have any question about it. Caution: Note that, If you use /crx-quickstart/repository/install to install your Hotfix, You might not be able to uninstall it, As no snapshot of that package is created in that case. So if you are testing multiple Hotfix you might want to use package manager in that case. There is no servlet engine UI. So you can not deploy your portlet application using Day servlet engine any more. 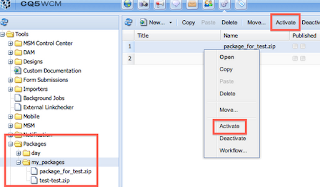 7) Now follow instruction in http://dev.day.com/docs/en/cq/current/administering/cq_as_portal_54.html#Configuring the Portlet and give your CQ end point. 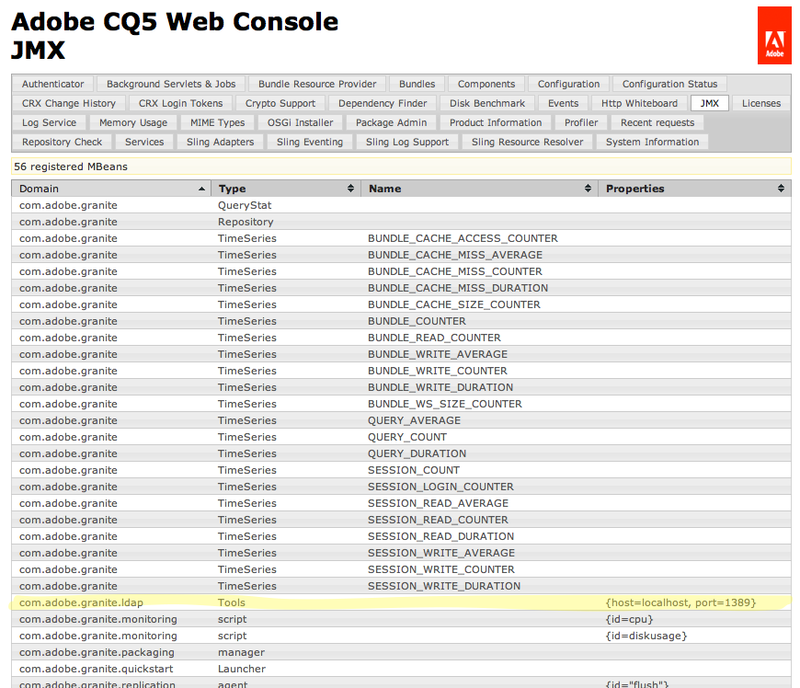 Portlet support is very limited in CQ5.5, So unless it is absolutely required, do not use it. Use case: Suppose you want to move some content using CQ package, from one instance to another instance. Now you want to have a behavior where content on destination don't get deleted if it is not there in source package. Now when you will create package using filter root as /content/.../en on source and deploy that package on destination, You would end up deleting node /content/.../en/p4 on destination, as it is not part of source package. On package manager through UI there is no way you can specify what behavior you want for that package on destination (You want something similar to AC handling behavior). Here is something you can do to override this behavior. 1) replace: Normal behavior. Existing content is replaced completly by the imported content, i.e. is overridden or deleted accordingly. contains a serialization of the filters defined in the filters node of the package in a default file vault manner. contains additional package properties like creation date and user. contains a cnd serialization of all nodetypes and transitive ones used in the package. contains the file vault config that was present when exporting. Note that your packaging type should be content-package. End result would be CQ/CRX package with all filters in resource section. Note: In this case you have to manage both filter.xml (Under META-INF) and <resource> tag under pom.xml for filter definition. <resource> tag under pom.xml is used by maven valut plugin to include resource in content package and filter.xml is used by package manager to include resource. There is already a enhancement request to merge these two and scheduled by later release of vault plugin. Pre requisite Keep http://dev.day.com/docs/en/cq/current/core/administering/ldap_authentication.html on side. I will mention things changed. 2) Once downloaded you can put this file to any location (I prefer /crx-quickstart/conf) and then change your start script to point to this location. From "Factory Configurations", create "Apache Sling Logging Writer Configuration"
[2.1] Set value of "Log File" to "../logs/ldap.log"
 From "Factory Configurations", create "Apache Sling Logging Logger Configuration"
[3.1] Set value of "Log Level" to "Debug"
[3.2] Set value of "Log File" to "../logs/ldap.log"
Step  is require for log rotation, If you don't want to rotate log then skip that step. Full path in JVM Param I have seen issues with some customer where using relative path for ldap.conf file does not work. Please use complete path of file system instead. Hope fully all changes are covered. Shoot me any question if it is not clear for LDAP with CQ5.5. There are more attribute as well please read above documentation for that. following property could defer based on your LDAP.